These missionaries taught their lessons in Hawaiian, rather than English. In part, the mission did not want to create a separate caste and portion of the community as English-speaking Hawaiians. In later years, the instruction, ultimately, was in English. The missionaries left many other lasting legacies in the Islands, including their songs. Some songs were translations of Western songs into Hawaiian. Some were original verse and melody. Oli (chant) and mele (song) were already a part of the Hawaiian tradition. One of the unique verses (sung to an old melody) was Hoʻonani Hope – Hoʻonani I Ka Makua Mau. Bingham translated it to Hawaiian and people sang it to a western melody that dates back to the 1600s. While most people may not recall the initial verses, what appears as his last is likely widely remembered. Many people suggest that Bingham’s verse is merely a translation of Hen’s last verse. It appears that is not the case. 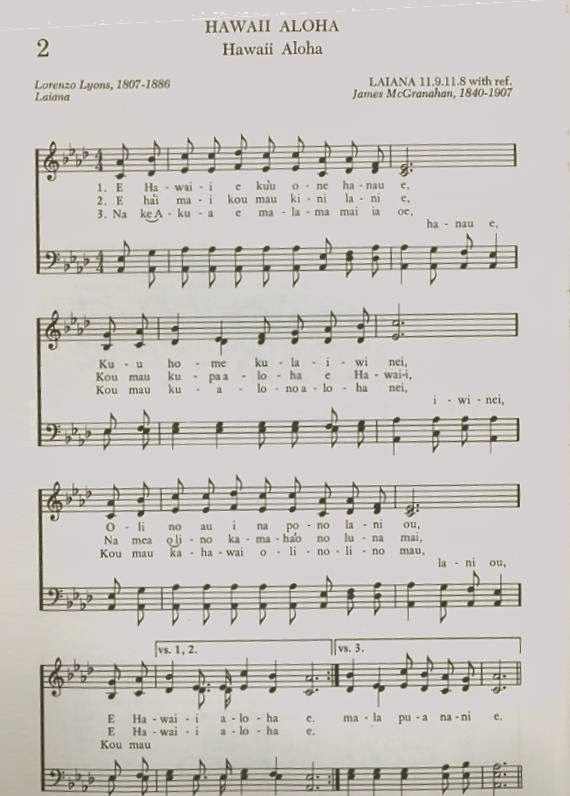 We were in Kawaiahaʻo Church, the Church choir sang several hymns; one was Hoʻonani Hope (Ka Buke Himeni – Bingham’s translation.) This was waaay cool. 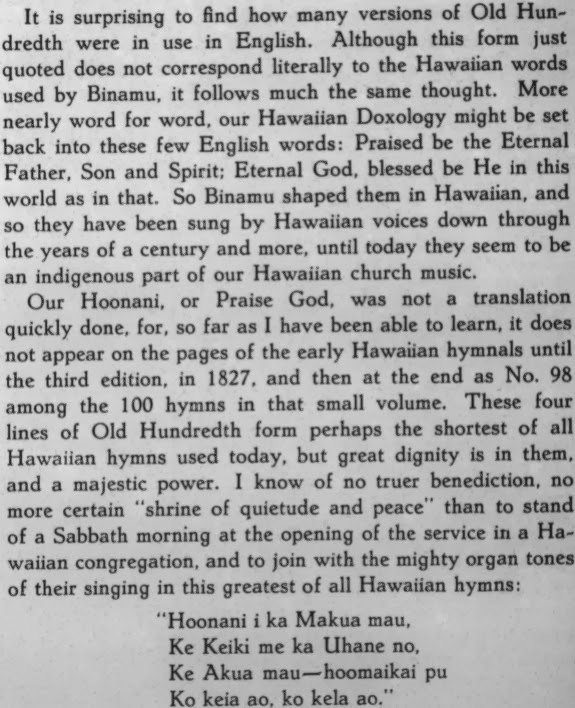 A handout given by the Church shows Hoʻonani Hope – the Hawaiian was Bingham’s translation and the English verse was printed next to it.